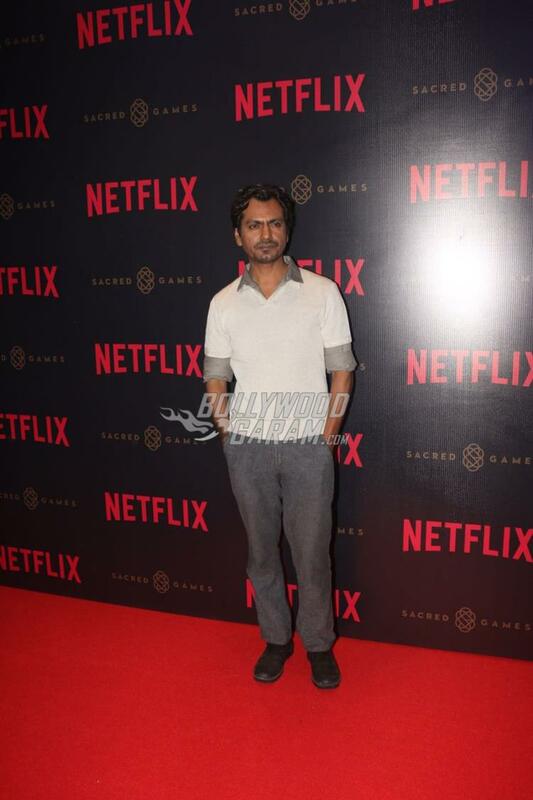 After making a mark in films, actors Saif Ali Khan, Radhika Apte and Nawazuddin Siddiqui are ready to make a mark in Netflix’s web series Sacred Games. 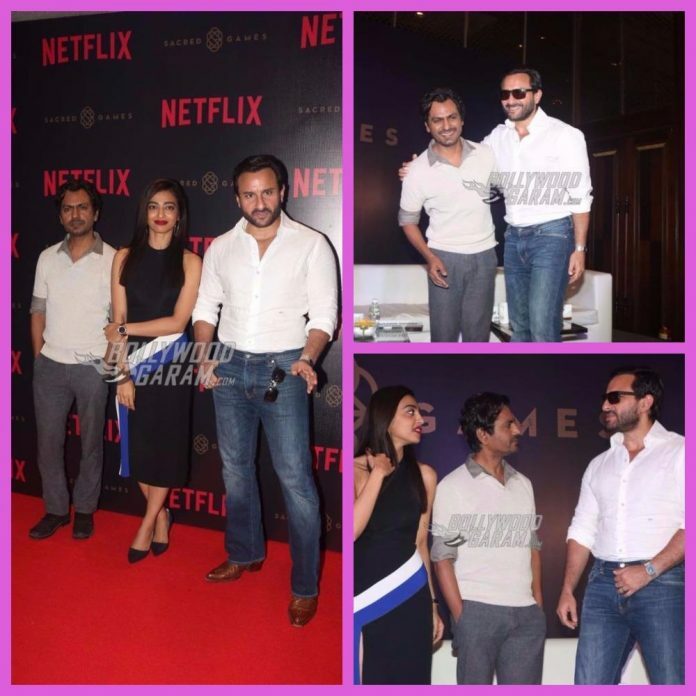 This will be the first time Saif will be seen in a web series, who launched the show at an event in Mumbai on August 21, 2017. The launch event also saw the presence of Nawazuddin and Radhika. The Rangoon actor looked dapper in a white shirt and a pair of denims while Nawazuddin was seen in a t-shirt and trousers. 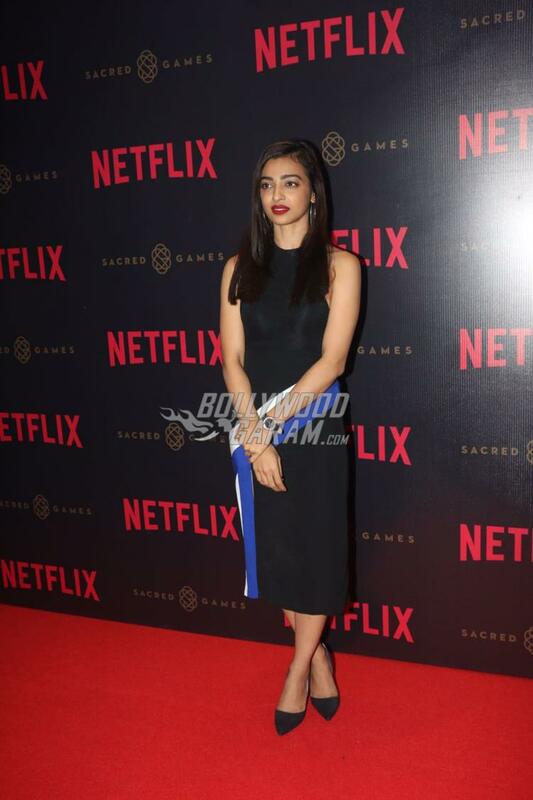 Radhika Apte looked pretty in a black outfit with straight hair and red lips. The show is based on a novel by the popular author Vikram Chandra. The series will be produced in partnership with Phantom Films and will be shot in India. 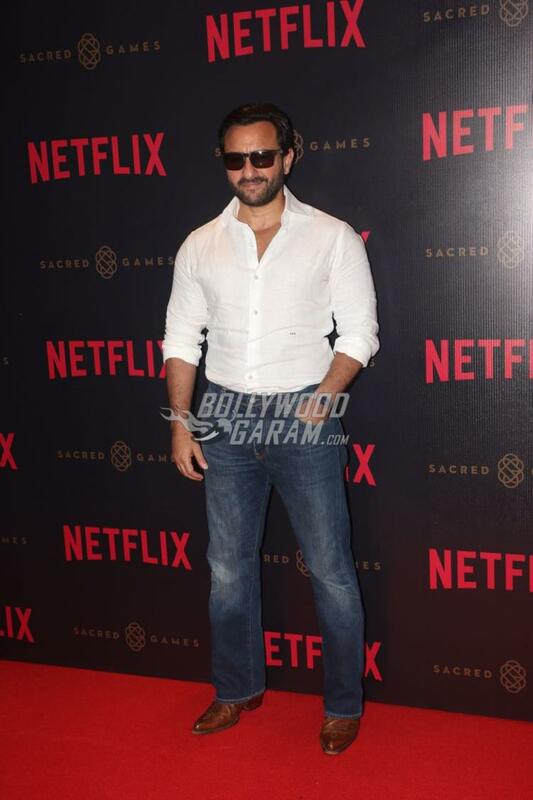 Saif will be seen playing the character of Sartaj Singh. The story is set in Mumbai in a city where corruption, crime and politics prevails.